I miss doing nail art. I remember when I got so into it, I would change my polish as often as every other day. I wish I can do it as often, but well, I simply can't. Good to know that a lot of brands are now coming up with nail polishes that can be used to create nail arts easier. 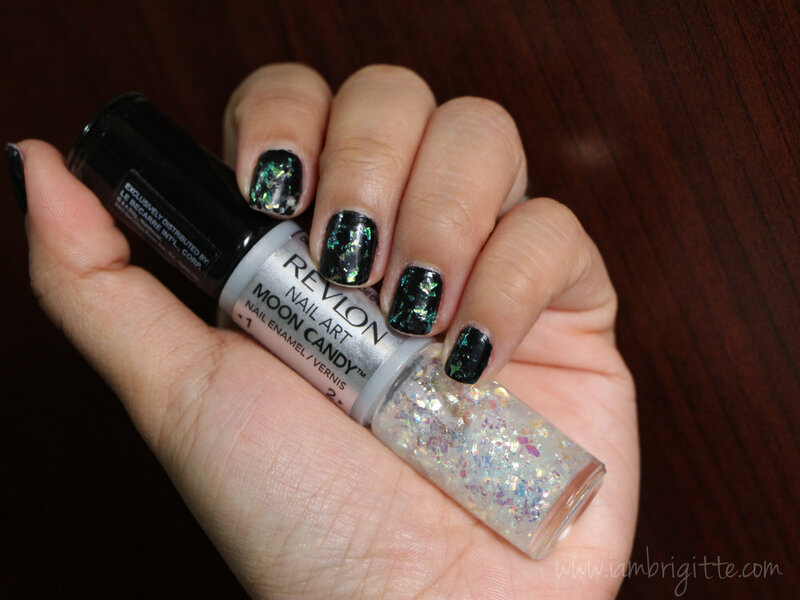 I've tried the BYS Glitter Dust for Nails and it's such an easy way to have glamorous, red carpet-worthy tips in no time. 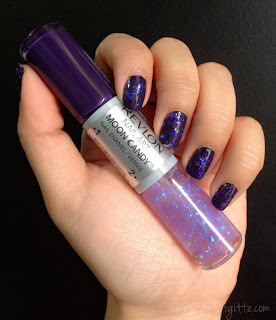 These Moon Candy Nail Art polishes has a creme polish at one end and another end with iridescent flakies. The creme polishes are really opaque that one coat is already enough. Now to apply the flakies on top of your base can be difficult and quite messy. First because it can be hard to get a good amount on the brush. I actually kept on putting the brush back in several times to get a decent amount. Second, you need dab, not swipe the flakies onto your nails. If you swipe, you'll just keep on getting the flakies off. 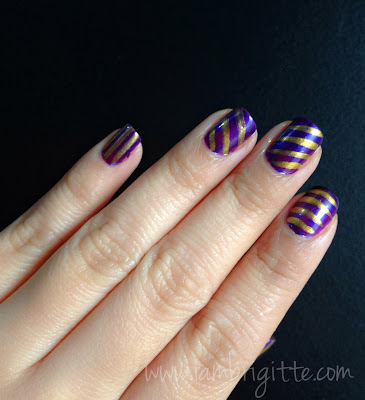 After applying, you might still find some of the flakies sticking out even with a top coat on. To avoid this, make sure all the flakies are laid flat. The finish may look bumpy but once you apply your top coat, it'll be fine. I really like these polishes, and I did get a lot of compliments when I was wearing them. Somebody even said my nails look like the outer-space...LoL! The Nail Art Expressionist is also a dual-polish set but the other end has a slightly thinner brush that can be used to do any sort of design or detailed work on your nails. I am so happy with the shade that I got, the purple and gold combo is so pretty. And yes, drawing lines and dots are so easy with the thin brush. Actually, this design that I came up with looks a lot prettier than when I use my nail art brushes. Some may find it a bit hard to draw while holding another jar of polish on the same hand. I did at first, but I eventually got the hang of it. I also got a Nail Art Neon but I haven't used it yet. Maybe soon! 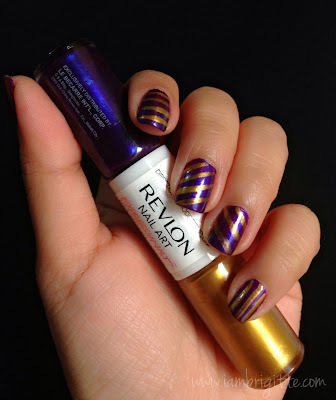 Overall, I am liking these polishes from Revlon. For only Php375 each, you can have a pretty good nail art in a breeze.